Have I mentioned that August is hot in Texas? As in H-O-T, with afternoon temps hovering at or above 100. That kind of heat takes a lot out of a gal, which means I need lots of cool beverages to keep me cool and hydrated! Today, I want to share two of my latest discoveries for beating the heat…or at least making it more bearable. I recently received a nifty Zoku Slush & Shake Maker to try out, and it’s just what I need to keep cool on the hottest of afternoons. Simply freeze the inner core insert overnight…or while you’re at work for the day. Then, you simply add the frozen core to the outer holder, pour in your favorite pre-chilled beverage, and stir with the provided scraper/spoon for a few minutes until it’s nice and slushy. I‘m able to get two small frozen drinks made with each freezing, so Michael and I both get an icy treat. Then, I give the core a quick rinse and place it back in the freezer until the next round! 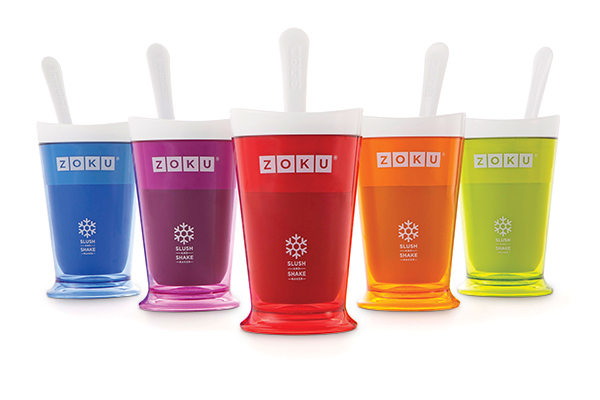 The Zoku Slush & Shake Maker can be used to create family-friendly slushes and shakes using any beverage you’re in the mood for. It can even be used to create icy adult beverages like margaritas and daiquiris! So far, we’ve made sugar-free lemonade slushes, orange juice slushes, and frosted root beer using sugar-free root beer and a bit of softened vanilla ice cream. However, my favorite recent discovery is to freeze Sparking ICE beverages. This refreshing sparkling beverage is sweetened with Splenda and comes in lots of fruity flavors, including Raspberry Lemonade. I like to chill the ICE, then use the Slush & Shake Maker to make us an icy treat…I especially love to garnish the glass with a gorgeous Summer strawberry and a fun straw when I serve. 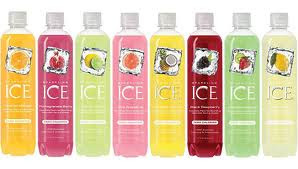 Sparkling ICE comes in a wide variety of yummy flavors. It's delicious on its own, but it can also be used as a mixer in your favorite cocktails! 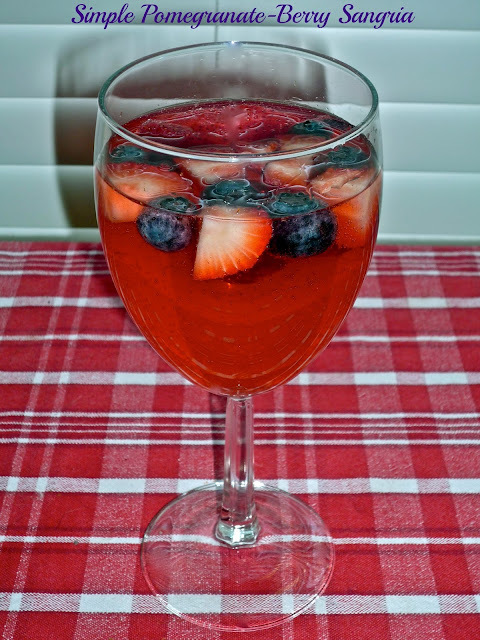 I love to use the Pomegranate Blueberry flavor to make quick individual sangrias. I simply add a few fresh blueberries and chopped strawberries to the bottom of two wine glasses. Then, I fill the glasses halfway with chilled sparkling pink moscato and add an equal amount of the ICE Pomegranate Blueberry. Sometimes, you just don't need to make an entire pitcher of sangria…this quick version is instant gratification! It's perfect for an al fresco dinner for two. It’s fruity and refreshing…and I love the pretty pop of color from the jewel-like fruit! Sangria is my favorite Summertime cocktail…light, fruity and refreshing. With my Simple Pomegranate-Berry Sangria, you can have a glass of sangria ready in less than 5 minutes. The Zoku Slush & Shake Maker and Sparkling ICE can be found at major retailers nationwide. The Slush & Shake Maker can also be purchased via the Zoku online store. To locate Sparkling ICE at a store near you, visit the ICE store locator. 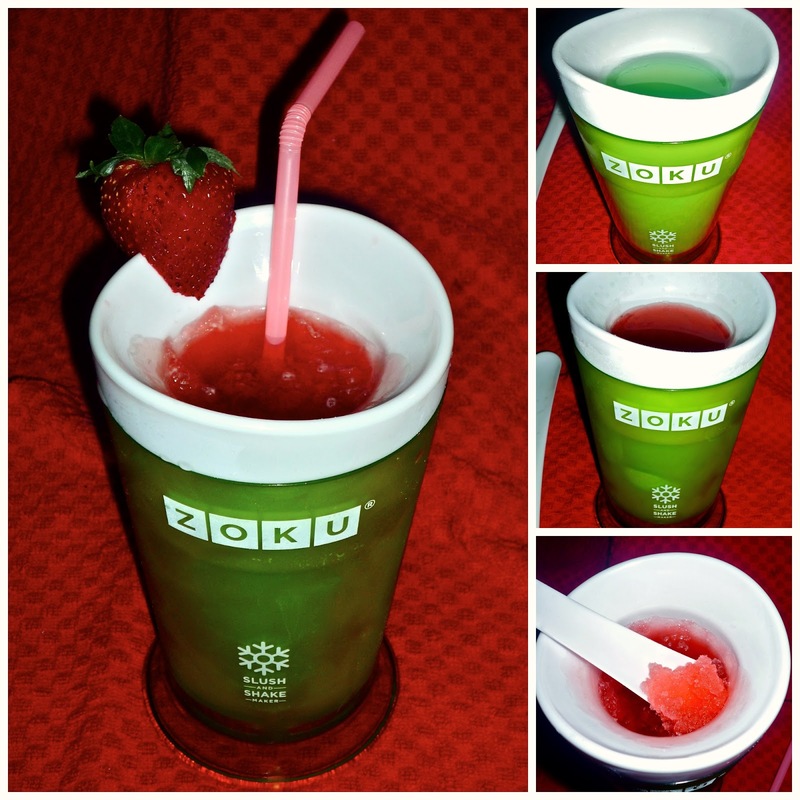 Disclosure: I received a complimentary Zoku Slush & Shake Maker and sample bottles of Sparking ICE beverage. However, all opinions expressed are my own and I received no further compensation.